The PD9140A, 40 amp power converter is designed to provide reliable filtered DC power to all recreational vehicle 12-volt lighting and appliance circuits. 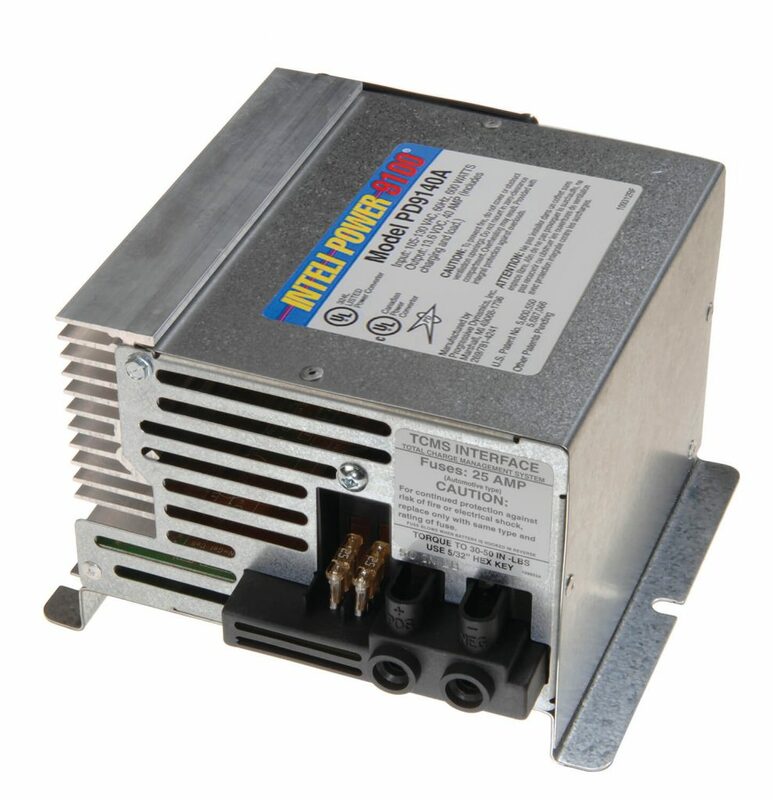 The PD9140 converter also provides safe and rapid recharging of RV batteries. Built-in features such as electronic current limiting, reverse battery protection, high voltage protection, low voltage operation, and over temperature shut down ensure long term reliability. The built-in TCMS (Total Charge Management System) connector allows the RV manufacturer, dealer, or owner to easily add the Charge Wizard. The Charge Wizard is a microprocessor-controlled system that constantly monitors the battery voltage and use to ensure a rapid; yet, safe, recharge. The Charge Wizard can select one of three charging voltages and one of four operating modes depending on the condition and use of the battery.